In every city of the world, it's easy to find a local bazaar in the centre of the city. These markets or bazaars reflect the city's face. In these bazaars we can learn much from the displays or the food being sold. If you are a real traveller then bazaars of the cities should be seen. 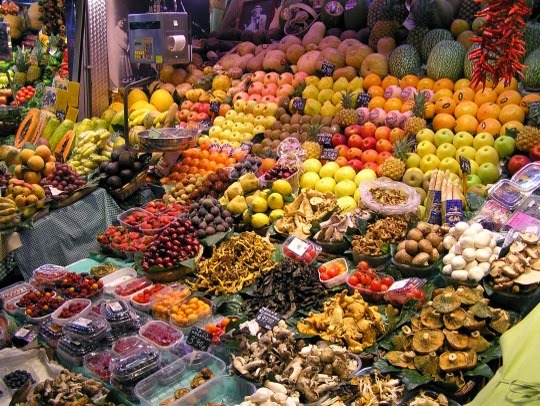 In Barcelona city there is a big market/ bazaar on Las Ramblas street which is open everyday. It's called La Boqueria Market. Anyone can find many different food and meat at this market. There are many women and men sellers. Product range at the bazaar is worth to see. In Barcelona city, it's easy to discover a place on foot. La Boqueria is one of these places. It's on Las Ramblas street and on the right if you walk through the port. You can buy local food and give them to your friends or family as a present. As being a Mediterrenean city, Barcelona and Spain has a unique olive for fan of olives. You can find green or black olive at good quality 50€ per kilo but you may regret if you don't taste these olives as they are really special and specific in Spain. If you love the sound of sellers, bargaining, tasting local food, feeling the native atmosphere of the city then visiting a bazaar is a must do acitivity in Barcelona city. In any season it's really easy to find seasonal fruit and vegetable. La Boqueria has different kinds of product options. If you are meat addict then you shouldn't miss this bazaar out. In La Boqueria market, there are any meat kinds ranging from livestock such as rabbit, pork, lamb, chicken to fowl. 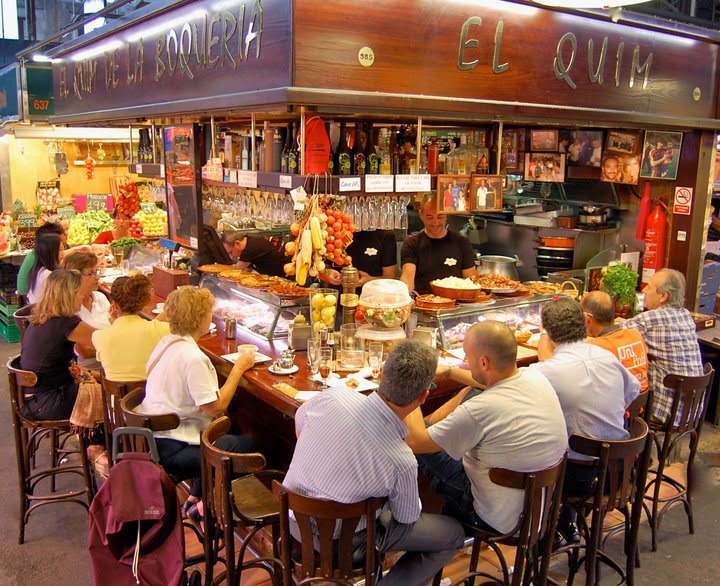 While walking around in La Boqueria bazaar and glancing at delicious food, you can eat, drink and have chat with your friends. There are many small restaurants in the bazaar. It's really easy to spend great time at this market. If you would like to see the displays in full swing then we recommend you to visit the market earlier than 2.00 pm. Please note that La Boqueria is open from Monday to Saturday between 8.00 am and 8.30 pm. If we look at its history, La Boqueria market in Barcelona dates from 1217 but it took time to be a big market selling every kind of food. In 1914, a big market place on Las Ramblas for La Boqueria was constructed. Here below you can find a video showing many displays, sellers and different kinds of food in the market. It's a chance to feel the atmosphere before starting of your Barcelona city travel.